Estate and trust planning, estate and trust administration, probate, business formation, and civil litigation. 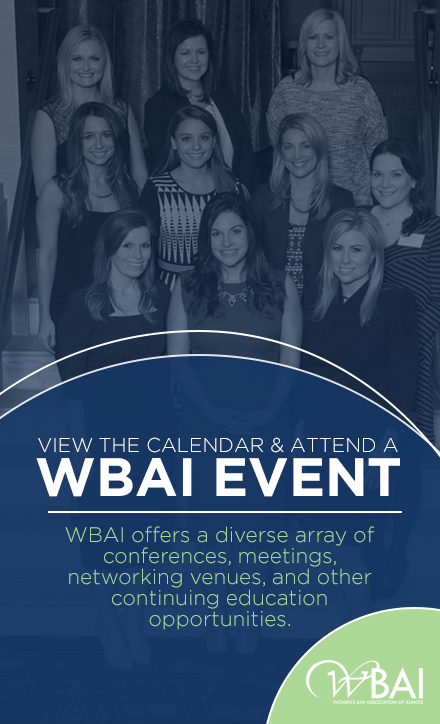 I am a WBAI member because I am committed to its mission “to promote and foster, advance and protect the interests and welfare of women lawyers.” My WBAI membership has also afforded me a networking forum, business generation and referral opportunities, leadership roles, and friendship, all of which have enhanced my career. I think “work/life balance” is elusive and evolves over time. That said, I try to achieve it through time management which requires me to identify priorities, assigning an estimated time for completion, and re-assessing priorities as they shift or expand. When I am vigilant, this technique can help me manage operating a firm, work, client development, household schedules, social engagements, and time away from the office. I am looking forward to working with my husband and our law firm partners to grow the firm’s estate and business planning business, serving as WBAI’s First-Vice President to prepare to lead the organization as President in 2019-2020, and practicing my basketball game with my three sons on our driveway hoop. I swam competitively in grade and high school and to this day really find great comfort in lap swimming.